Mars/Mangal is the chief of the assembly of the nine planets. It is also personified as the god of war. It is regarded as a malefic planet in astrology and gives its natives the ability to put their own desires above those of others. It's color is red and the ruler of the direction - south. It is the symbol of blood and perseverance in human life. The gemstone related to Mars is Coral and its zodiac signs are the Aries and the Scorpio. Moonga/Munga or Red Corals are found in many colours red, scarlet, saffron, pink to vermilion red and white. Its temperament is hot. 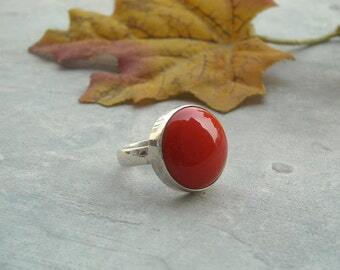 Coral gemstone creates many virtues like courage, perseverance, capability to face and solve circumstances and problems and enables a man to take risks. gemstone is also an ideal gem for a happy marital life. Also available White Coral & Pink Coral Gem Stone. We have all shapes of Red Coral in Round, Triangular, Cylindrical, Heart and Oval. All these Red Corals are Natural, Unheated, Untreated, Lab Tested & Certified. Gem Certificate is sent with each order. How to know that Red Coral Stone suits me? Know whether Red Coral Stone will suit you? We have full fledged facilities to make Platinum, White Gold, Yellow Gold, Sterling Silver, Copper in Rings/Bands/Pendants/Bracelet of the given size, embedded with your Astrological Gem Stone. It takes around 3 days time to make them. On customer's request we will also Energize/ Abhimantrit/Bless them with Mantras to give desired effect. We will also let you know complete Spiritual Support with Mantras to wear these Astrological Ornaments on the specified Day and Time. As these astrological ornaments required to be adopted on the basis of planetary needs.